Before I introduce this week’s review, I want to say how much I’ve been enjoying the Women Writers Wednesday series. It started as a desire to demonstrate some of the many contributions women have made to literature — a flickering candleflame of one blog rebelling against the general misogyny of the publishing world’s corner of social media. When I put the call out to other women writers, the response was strong. This weekly series is booked all the way to May, with new additions still coming in. I’ve been thrilled with the response and appreciate it so much. I love not being a lone voice. Thank you, sincerely, to everyone who has participated in any way: fellow reviewers, people who share these posts on social media, those who are reading them, those who are simply voicing their support of the concept. Thank you so much. So this week’s installment comes from Tria Wood, who responds to Excavation: A Memoir by Wendy C. Ortiz. This book came out last year from Future Tense Books. When I was a senior in high school, my favorite teacher took me aside one day. “Be careful in college,” she warned, “because there are professors who will try to seduce you by telling you how intelligent you are.” I nodded, but thought otherwise. I know I’m smart, I said to myself. What I want is someone to tell me I’m beautiful. I wasn’t yet equipped to recognize the truth in my teacher’s warning: that to be a smart girl is sometimes so difficult that it becomes a vulnerability that can be exploited. Wendy C. Ortiz’s Excavation: A Memoir tells the story of the five-year relationship Ortiz had with one of her junior high teachers, whom she calls Jeff Ivers. Her careful diary-keeping during those years helps craft a text that is rich with detail and immediacy. Ortiz guides the reader through the story of this relationship and her adult reflections on it with skill and poetic flair. Throughout the text, Ortiz performs the excavation promised by the title; the digging she must do to tell her story is illustrated by short scenes from her adult life, including a walk along the La Brea Tar Pits with her infant daughter. The past, preserved as if in sticky tar, is pulled up excruciatingly, and becomes something she can examine and learn from. “During those teenage years my self-worth was something I felt was small enough to hold,” Ortiz writes. “It was my pen, my paper and sometimes, maybe, my ability to attract people to me.” It is into this need that Mr. Ivers steps. By appealing first to her intelligence—her writing—and next her attractiveness, he manipulates her into an on-again, off-again relationship that she feels obligated to maintain due to complicated combinations of attraction, shame, and fear of being “average.” As Ortiz also negotiates relationships with boys her age and ponders the attraction she feels toward girls, Mr. Ivers becomes a touchstone for her, a knot she must work at until it finally unravels. 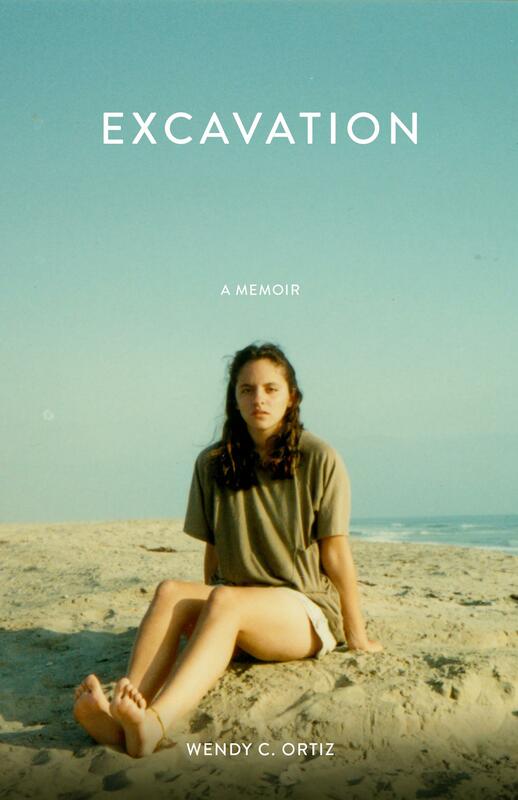 Throughout this memoir, Ortiz captures the rolling emotional boil of being a teenager, the overwhelming intensity of every feeling, whether high or low. I especially recognized the sense of power the young Ortiz feels in fits and starts at the idea that someone—this man—wants her. At that age, it doesn’t matter that this power might be an illusion. It matters only that it provides some small barricade against the debilitating void of wanting to be wanted. As an adult, I can see each of Mr. Ivers’s abusive machinations for what it is, yet I cannot blame the young Ortiz for being lured in by him. His character and methods will ring true to anyone who has been in a manipulative or emotionally abusive relationship; he is an expert at making her feel she must stay with him, clinging to her even as he cuts her down and pushes her away. Secret relationships like this one seem to stud smart girls’ teenage years; think Angela Chase and Jordan Catalano in their boiler room makeout sessions. In the midst of our wanting, someone appears, seems to see something in us that no one else does, and we become satisfied with the pittance of attention that he allots us behind closed doors. In high school, I had this kind of relationship with a boy my own age; in reading Excavation, I realize that the fact that I didn’t fall for some older man’s overtures is perhaps due only to the fact that no man ever made them. Tria Wood is a writer and educator living in Houston, Texas. 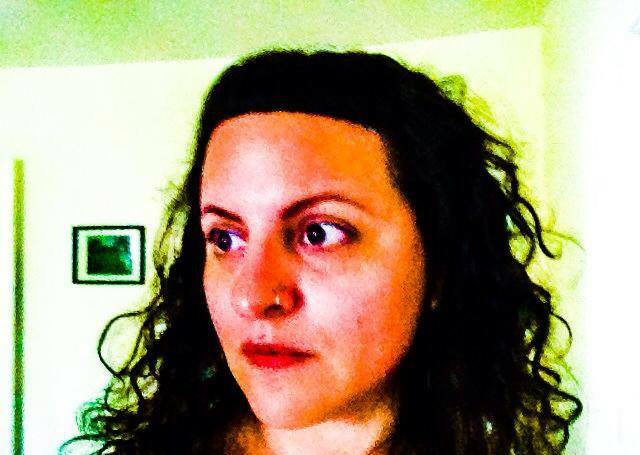 Her poetry and creative nonfiction have recently appeared in Rattle, Sugar House Review, Bayou, and Literary Mama. My Life as a Doll, a large-scale literary art installation she created with artist Tara Conley, was exhibited at DiverseWorks Artspace in Houston in 2011. Find her online at triawood.com.